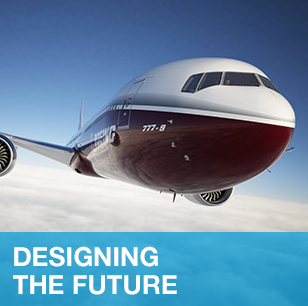 When it comes to the environment, Boeing leads with technology and innovation. Learn more about our environmental commitment at www.boeing.com/environment. Boeing is the world's largest aerospace company and leading manufacturer of commercial jetliners and defense, space and security systems and has a long tradition of aerospace leadership and innovation. The company continues to expand its product line and services to meet emerging customer needs. With corporate offices in Chicago, Boeing employs more than 165,000 people across the United States and in more than 65 countries. This represents one of the most diverse, talented and innovative workforces anywhere. Developing our people is as important to us as delivering quality products and services to our customers. We have invested more than $1 billion in our employees’ college tuition, books and fees through our industry-leading tuition assistance program. Our enterprise also leverages the talents of hundreds of thousands more skilled people working for Boeing suppliers worldwide.